At Innate Vitality we’re in the midst of our second 21-Day Purification Program this year. 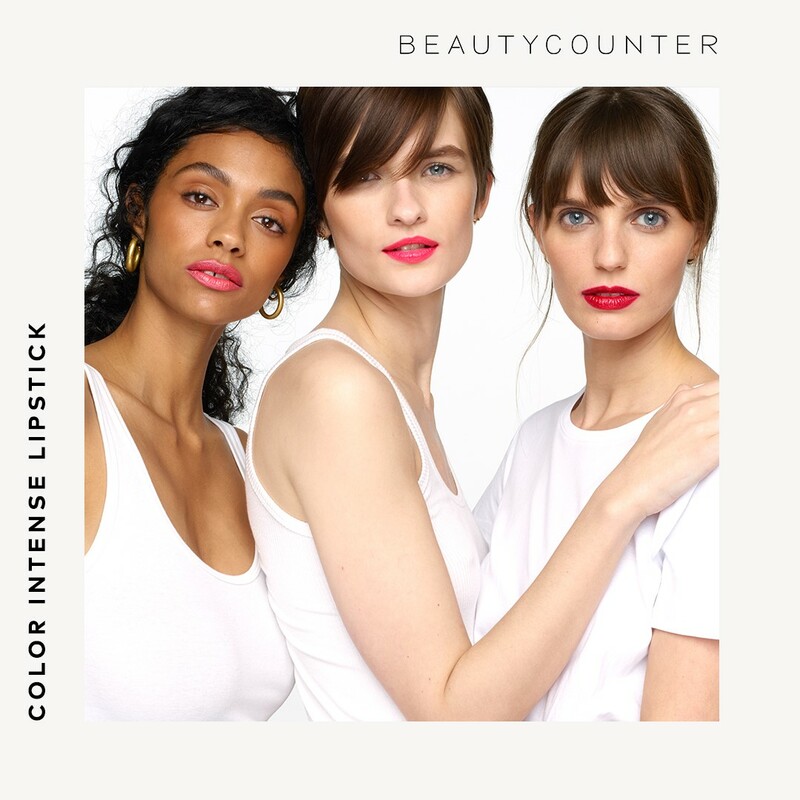 It never fails that each time I lead a group, my belief and trust in BeautyCounter is reinforced because of their dedication to using safe ingredients in their cosmetics and providing information about the ingredients they use. An overwhelming majority of cosmetic’s companies do not provide that information! I chose to be a part of this company because I was tired of seeking out information on safer cosmetics and always hitting dead ends when I wanted to know what specific ingredients are used. In the 2nd week of my purification program, I talk about external toxins and how pervasion they are in our daily lives. Of the more than 80,000 chemicals currently used in the United States, 30% are in beauty products and cosmetics. The average woman uses 12 products daily, exposing her to 168 unique chemicals per day and only about 2% of them have been assessed for their safety. Since the majority of the 80,000 chemicals are untested for safety, that means the food we put in our body, the lotions we apply to our body, the bug spray we put on our children, the detergents we use to wash our cloths, dishes and body have some source of these unsafe chemicals in them!!! Our skin, which is the largest organ of detoxification, is meant to serve as an exit point where the body can eliminate toxins through sweat and cell debris, but it actually becomes an entry point for these chemicals that promote disease and illness. Our skin absorbs 60% of what we put on it, scary right!?! This percentage is even higher for our little ones, so it’s no wonder the rates of cancer, learning disabilities, allergies and infertility are sky rocketing! 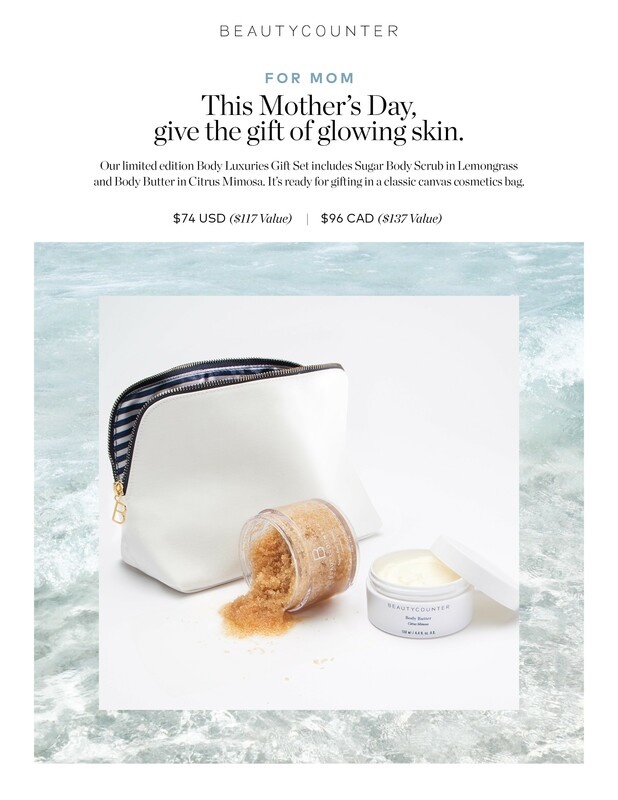 Check out BeautyCounter’s great gift set for Mother’s Day!